The Kwara State governor, Alhaji Abdulfatah Ahmed, yesterday said that Senator Rafiu Ibrahim remains the Peoples Democratic Party’s (PDP) candidate for Kwara South senatorial district. Governor Ahmed made this declaration during the PDP campaign rally in Idofin Odo- Ase in Oke – Ero Local Government Area of the state. Governor Ahmed who voluntarily withdrawn from the race about a month ago to enable the incumbent Senator Rafiu Ibrahim recontest on the platform of the PDP. However, a list of senatorial candidates of parties in the state released on Thursday by the INEC indicated that Ahmed is still the candidate of the PDP for the election. 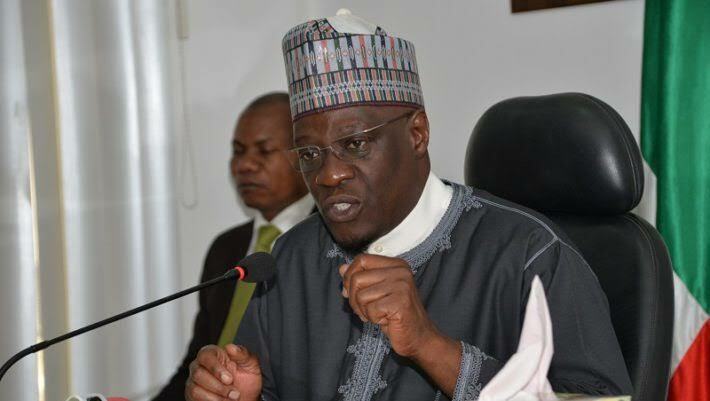 According to the Kwara State Governor, the Independent National Electoral Commissioned (INEC) published his name in error in the list of National Assembly candidates the electoral body released on Thursday. Ahmed, who openly campaigned for Senator Ibrahim, asked the people not to entertain any fear about the development, assuring them that the mix up would be corrected. “Concerning the post of the senator, the person who is there at the present is the one we want to return and, by the grace of God, he will be returned. “Be rest assured, all what is released will be corrected. Everything will be corrected the way we want it,” he said.